With rising costs of turbine ownership, Earthmill Maintenance are proud to announce the launch of the Turbine Buy Back Scheme. Do you want to avoid the year on year costs and risks associated with turbine ownership? 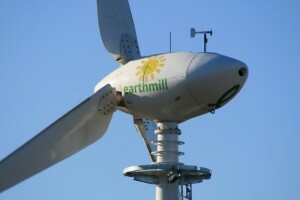 Earthmill Maintenance parent company ARENA Capital Partners are a private equity-backed company looking to expand their current fleet of wind turbines from 66 to 100 by 2019 by purchasing them from owners like you. By selling your turbine you would receive a lump-sum cash payment upfront and also enjoy an annual income for the expected lifetime of the turbine in exchange for continuing to host the turbine on your land. Adopters can also continue to benefit from access to cheap energy. As turbines age, evidence of wear on some components means that upgrades are often required in order to preserve the longevity of the machines. Following the unfortunate collapse of several turbine manufacturers such as Endurance, many owners have been left without the peace-of-mind of a warranty for their turbine and so it will be they who will have to foot the bill for the upgrades. By selling to ARENA, customers will not only recuperate their investment and eliminate the risk of turbine ownership, but also continue to benefit from cheap energy and an annual payment for the remainder of the 20 year Feed In-Tariff in exchange for continuing to host the turbine on their land. Alternatively you can fill out the form on our contact page. Earthmill provide a range of comprehensive service and maintenance packages to keep your technology running at optimum efficiency. "Customer Service has always been core to our values at Earthmill, that's why 94% of our customers say they would recommend us to a friend or work with us again."